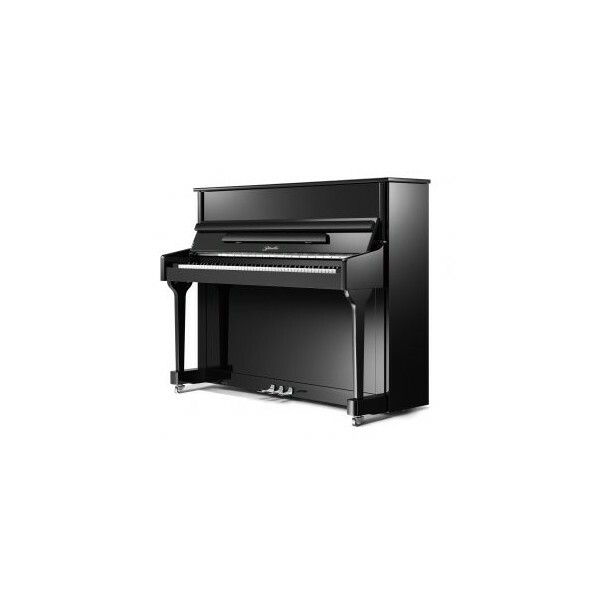 A Ritmüller upright piano model Classic C118 by Pearl River finished in black polyester with chrome fittings. This instrument has a responsive action and overall mellower tone suitable for beginners. The Classic C118 has been the best selling Ritmüller upright piano for many years using high-quality European materials and solid engineered spruce soundboards. This lends there instruments a fine European tone. A simple and elegant, traditional design, the casework is also available other finishes, enquire now for details. Complete with a soft-fall system.